Explore a gallery full of world-class art, watch a play at a Tony Award-winning theater, and immerse yourself in all the diverse cultures of the fourth largest city in America: Houston, Texas. These are just a fraction of the adventures you can have in Space City, a massive metropolis notable for its museums, parks, restaurants, and professional sports teams. Such is the abundance of attractions in Houston that if you can imagine it, you’ll likely find it here. Discover all that this thriving town has to offer travelers like you by checking out its attractions below. The Alley Theatre is a Tony Award-winning performing arts venue located in the heart of Houston’s Theater District. A varied selection of plays, including everything from Shakespeare and Charles Dickens to comedies and musicals, are conducted on the venue’s two distinct stages: the 774-seat Hubbard Theatre, and the intimate 310-seat Neuhaus Theatre. A full schedule and ticket purchases are available on the theater’s website. Take a step back into Houston’s gilded past as you explore the tranquil gardens and stately mansion found in the Bayou Bend Collection and Gardens. Based in the former home of Houston philanthropist Ima Hogg, the collection is composed of antique American furniture, paintings, silver, and ceramics displayed in rooms throughout the house. Bayou Bend is open Tuesday through Sunday throughout the year. 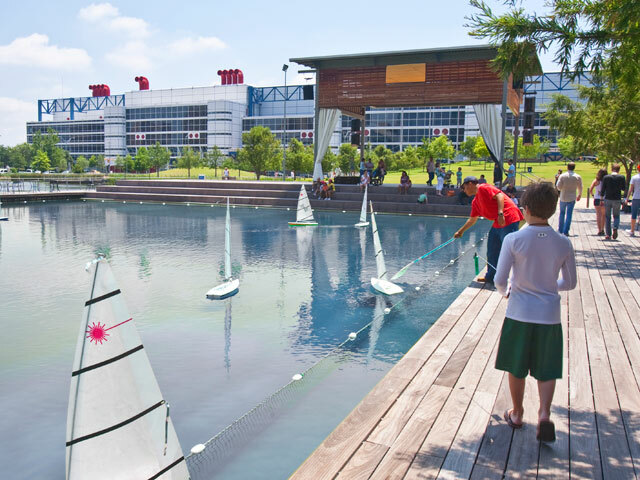 With its grassy lawns, concert stage, and unique attractions, Discover Green provides a 12-acre oasis right in the heart of Houston’s bustling downtown. Hang out by the small lake, let your kids splash around in the Gateway Fountain, and play a game of Bocce in Maconda’s Grove. Don’t forget to test out the stone listening vessels that enable you to have a quiet conversation with someone from 70 feet away. 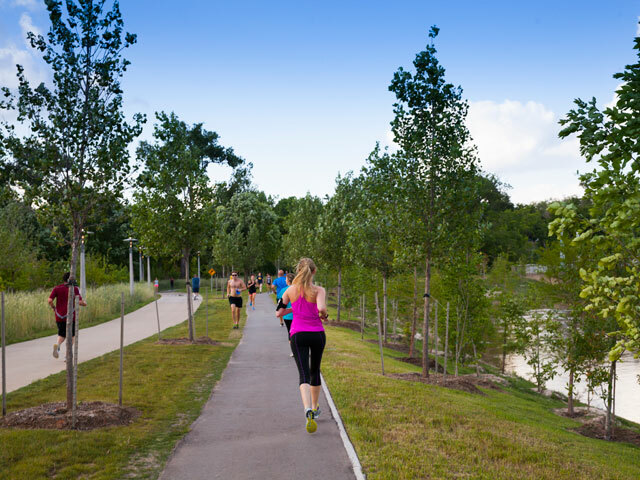 Rolling hills, verdant trees, and miles of multi-use trails make Eleanor Tinsley Park a top spot in downtown Houston for hikers, joggers, and bikers. The park follows Buffalo Bayou and features a variety of gardens and greenspaces to unfurl a blanket and take in the stunning view of the Houston skyline. Bonus adventure: head to the Waugh Drive Bridge at dusk to see about 250,000 bats emerge. The Houston Museum District is a sprawling section of Space City home to 19 museums spread out in four walkable zones. Many of the top attractions in Houston can be found in the district, including the Houston Zoo, The Menil Collection, and the Children’s Museum of Houston. 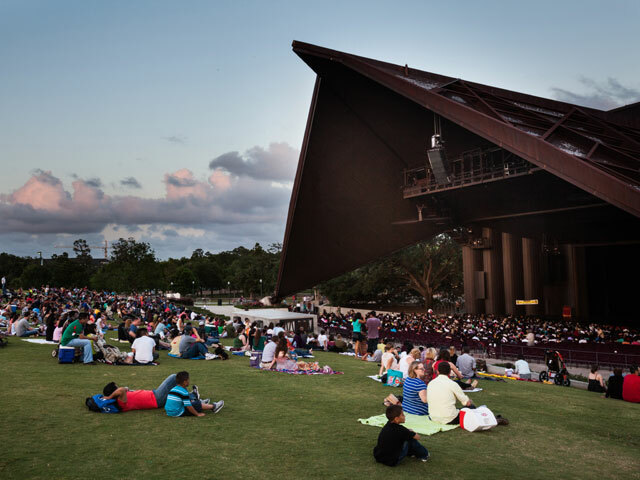 In addition to the museums, the district also contains the Miller Outdoor Theatre, McGovern Lake (where you can rent a paddle boat), and the Hermann Park Golf Course. 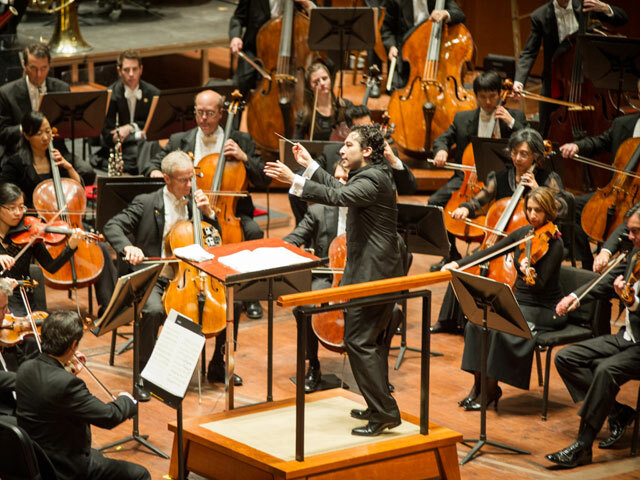 Head to Jones Hall for the Performing Arts in downtown Houston for a world-class orchestral concert by the Houston Symphony. The symphony, made up of some of the top musicians from around the globe, conducts shows throughout the year at Jones Hall and other venues in the Houston area. Check the Houston Symphony’s website to purchase tickets and to see a full schedule of the current season. Lions, tigers, bears, and all manner of other critters from around the world can be seen as you explore the 55-acre Houston Zoo. Immersive exhibits include habitats for primates, rare birds, aquatic animals, and reptiles, and other areas of the zoo allow you to see giraffes, zebras, rhinoceros, and more. The zoo is open every day but Christmas Day. Set within a forest of massive oak and pine trees just a few miles west of downtown, Memorial Park is a popular urban retreat for those looking to work up a sweat outdoors. A three-mile running trail that loops around a section of the park may be its biggest draw, but there’s a lot more to the park. Tennis courts, a golf course, baseball and soccer fields, secluded mountain biking trails, sand volleyball courts, and a one-mile-long road cycling trail can all be found in Memorial Park. Find a spot on the grassy hill in front of the stage and kick back as you take in a first-rate performance under the night sky at the Miller Outdoor Theatre. The stage, situated in the Houston Museum District, hosts a variety of free concerts and shows throughout the year. A full schedule of upcoming performances is available on the theater’s website. Ancient art representing different eras and cultures from around the world and a stunning range of contemporary works are on display at the Museum of Fine Arts, Houston. The Main Campus, located in the Houston Museum District, is divided into two buildings. The Caroline Wiess Law Building contains a collection of historic art alongside rotating works, while the Audrey Jones Beck Building displays photography, illustrations, and paintings from Europe and America. Works by Matisse and Rodin are displayed in the Cullen Sculpture Garden, a tranquil oasis of art and nature that is free to the public. Why is Houston known as Space City? Head to Space Center Houston to find out. The center provides incredible insight into NASA’s historic and current space exploration operations. Get an up-close view of spacecraft, admire exhibits of space suits and equipment, and experience spaceflight when you watch one of the immersive video presentations. For a behind-the-scenes view of the complex, go on the NASA Tram Tour. Space Center Houston is open seven days a week throughout the year, except on major holidays. If you’ve got the urge to splurge, then The Galleria is the place for you. After all, The Galleria is one of the most popular places to go shopping in Houston. Wander through the multi-story shopping center and you’ll have your choice of more than 375 stores such as American Eagle Outfitters, Coach, and Hugo Boss, along with 30 restaurants. 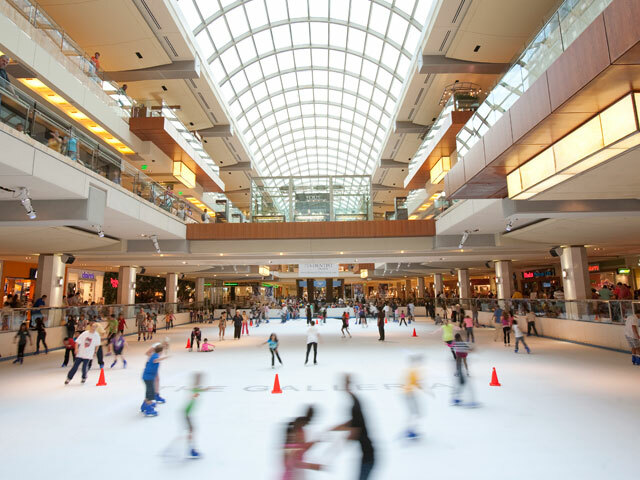 A full-sized ice rink and two hotels are also part of The Galleria, a high-end shopping hotspot that welcomes about 24 million people annually. Marvel at massive dinosaur skeletons, admire colorful gems and minerals, discover the stunning ecology of the Texas Gulf Coast, and more at this impressive Houston museum. Featuring a comprehensive permanent collection that includes the Hall of Ancient Egypt and the Herzstein Foucault Pendulum, as well as an array of rotating exhibits, the museum has something for everyone. See world-class art without spending a dime when you visit The Menil Collection. Rotating exhibits of historic and contemporary art by notable artists, as well as a permanent collection that includes works from Africa, the Ancient world, and celebrated surrealists round out the museum. At 64 feet tall, it’s fair to say the U-shaped Water Wall is a dramatic sight. No wonder it’s a favorite spot for photographers. The Water Wall sits within a grassy three-acre greenspace shaded by 180 live oak trees, providing an idyllic setting for your next set of selfies or a picnic with your family. The craft beer scene is thriving here in the Lone Star State, and Houston is no exception. Space City is home to more than 10 local breweries that pour hoppy India Pale Ales and refreshing Hefeweizens to dark coffee-flavored stouts. 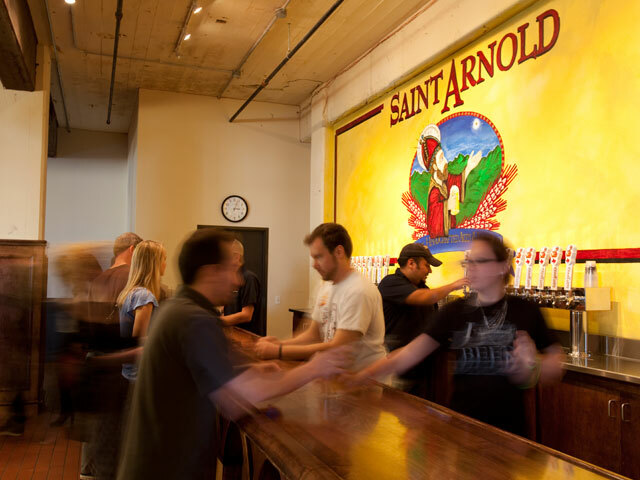 Among them are some of the most notable craft breweries in Texas, including St. Arnold’s and 8th Wonder, but they are by no means your only options. Most of Houston’s breweries offers tours along with a few pints for an affordable fee, providing a unique way to hang out with friends during the weekend. Houston is also a top destination for sports fans, as Space City is home to five top-flight teams. 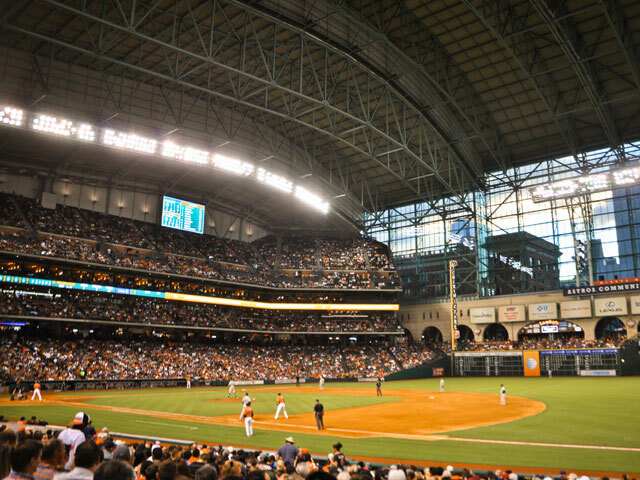 Start with the Houston Astros and Houston Rockets, two long-standing franchises that take on the best of the MLB and NBA (respectively) at their world-class downtown stadiums. The Houston Dynamo and Houston Dash soccer teams ply their trade at the BBVA Compass Stadium, with its orange seats and lovely view of the downtown skyline, while the NFL’s Houston Texans play at the massive and state-of-the-art NRG Stadium. Since Houston’s teams play throughout the year, it’s always sports season in Space City.